I didn’t watch the Super Bowl. There, I admit it. But I know who won: Oreos. Without my TV on I knew instantaneously, thanks for social media, that the power went out and darkness overtook the game. And that Oreos immediately had a visual response to a pop culture sensation that was right on their message that went out on social media (Twitter, Facebook, and Instagram.) 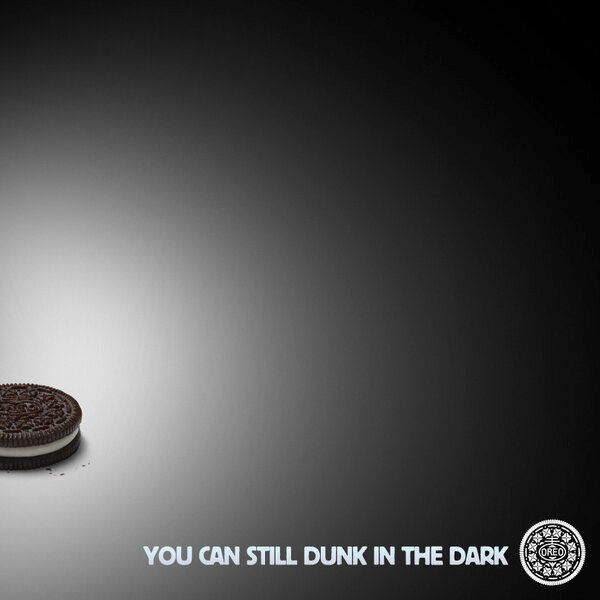 Let me repeat that… Oreos had a timely and playful response to a pop culture sensation that was right on their message. They have a “Mission Control” team. Are you playing attention to that? The Forbes article Behind The Scenes Of Oreo’s Real-Time Super Bowl Slam Dunk explains the impact and set-up of the Oreo campaign. The tweet was shared 15,000 times. Oreo’s Twitter following, meanwhile, increased by about 8,000. The blackout post garnered nearly 20,000 likes on Facebook. This social media retort wasn’t a “shot in the dark” or whim. Their VP of Cookies explains “that it was the result of a carefully architected social-media strategy that made the brand ready to respond to whatever the Big Game threw its way.” Oreos was coming off of their 100th birthday campaign called “The Daily Twist” (which I can’t stop playing with and wondering how Unitarian Universalist religious educators could translate the concept.) The Daily Twist featured real-time posting of Oreo’s responses to what was happening in the news. They chose the Super Bowl to kick off a new campaign. 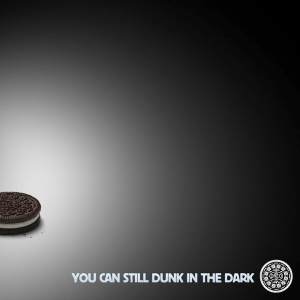 A campaign (“Cookie or Creme?”) that invites interaction. The courage and composure to debut on a big stage. The over-all objective to be relevant. A clear understanding of intended, measurable impact and actual, measurable impact. You may be throwing your arms up in the air with exasperation, because you don’t have that clearly defined of a message and you certainly don’t have message or social media experts. Well, what if you gathered really bright, creative people from your religious community and commissioned them to become a “learning and doing circle” on behalf of your congregation? It will require discernment, learning something new, and permission to stumble. All fantastic characteristics of growth. My vision… Unitarian Universalism is a real-time religion with real-time religious communities who are real-time relational responders and who are a part of our culture and the fabric of our community. Tandi Rogers is the Unitarian Universalist Growth Strategist and cannot decide between cookie or creme. Ze wants it all. I think there’s a big difference between the Oreo team and what might be our “learning and doing circle:” they are not just ALLOWED to act immediately, they are EXPECTED to do so. The UU culture is notorious for not allowing anyone to take action before a committee has been convened, a report has been issued, and everyone has been assembled to vote on a course of action. Nobody gets to “jump on” anything (unless they sneak it behind others’ backs!). If we could get to a place where we trusted each other enough to empower someone to act spontaneously on behalf of us all, I think it actually would go a long way toward the spiritual growth development of us individually, our faith, and our denomination – not to mention the UUA! From what I’ve seen on their website and newsletter, I think that the Wellsprings Congregation may come close to encouraging that kind of creativity. It seems to empower people to come up with ideas and act on them. What kind bureaucracy may ensue once the idea is presented I don’t know, but I liked what I read about them. Now if you can come up with a way to embed congregations with chocolate (sugar free and low-carb, of course), the you might have something. Perhaps we should look at renaming our new congregation the “Chocolate Community, UU”. Of course, that would also raise expectations. Wonderful blog, Tandi. This might be especially appealing to younger members who are looking for a creative and fun way to assimilate into congregational life. There is also a sense of playfulness and affection that we could also aspire to in the spirit of the cookies v. cream debate. While making rounds at the hospital, a fundamentalist Baptist chaplain and I used to affectionately joke with patients that we were the two bookends holding up the ends of the theological spectrum. That playfulness helped us to hold the tension of difference–in love. I love the way you think, Tandi! Definitely outside the U.U. box. It inspires me. Thank you, Katie. That means a whole lot coming from you!